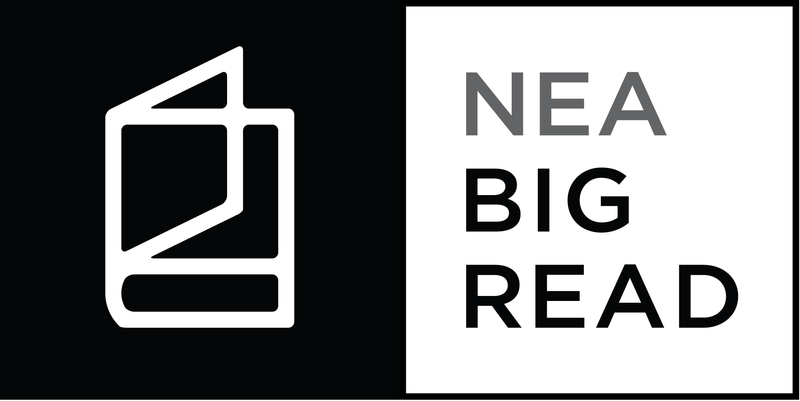 Created in 2004, the National Endowment for the Arts Big Read offers grants to support innovative community reading programs designed around a single book. Over the last decade, the National Endowment for the Arts has funded more than 1,300 Big Read programs, providing more than $18 million in grants and reaching more than 4.8 million Americans. For the past two years, Keri Watson, an assistant professor of art history at the University of Central Florida, who specializes in Depression-era art and literature, has received funding from the National Endowment for the Arts to support the Big Read@UCF. The Big Read@UCF brings together students, faculty, staff, and community members to celebrate reading. In 2016 UCF partnered with the Seminole County Public Libraries, New Journey Youth Center, Aspire, Valencia Community College, Seminole State College, the city of Eatonville, and Midway Safe Harbor Community Center to host programming centered on Zora Neale Hurston’s Their Eyes Were Watching God. This year, UCF is focusing on John Steinbeck’s The Grapes of Wrath and partnering with Seminole County Public Libraries, the Farmworker Association of Florida, the Orlando Coalition for the Homeless, Hope CommUnity Center, LIFE at UCF, Orlando City Hall, Crealdé School of Art, the Maitland Art Center, and Dr. Phillips Center for the Performing Arts. Interested in participating in the Big Read@UCF or hosting a Big Read in your community? Come to discuss and learn more about the NEA Big Read. As someone that is new to this field, I’m particularly interested in discussing and sharing ideas that have helped you (as a DH enthusiast/librarian/coordinator/faculty member) cultivate habits of mind that encourage collaboration with, and across different knowledge bases. Have you incorporated collaboration into your pedagogical structure as a learning objective or do you see collaboration as being an important part of digital pedagogy? I would love to hear from anyone who is actively engaged with other members of their DH community on how they created that relationship and how they continue to build upon it. I would also love to hear from those who are just beginning to form those relationships. Did you find it difficult to reach out to other areas of scholarship? Do you find that having collaboration as a facet of digital pedagogy has improved your work/research/etc.? Adapting to new technologies: Technological and social changes have shifted the focus of communicative practice from speech and writing to curating. Many archives are multimedia and contain documented sounds, images, and written texts. These documents can be fragmented, manipulated, juxtaposed, and synthesized in endless configurations. Also, digital platforms can be adapted to include student participation in ongoing discussions about key issues of public significance. Training students to manage public forums and to curate electronic texts helps them adapt to technological shifts. Addressing emergent problems: As public crises emerge, such as those affecting the environment, public health, civil rights, and the economy, we need a citizenry that can access many types of digital archives and participate in discussions that address these problems. Therefore, we intend that curating across the curriculum will help train students to consult on emergent problems by providing critical archival materials to the public. Providing multiple and overlooked perspectives: Student curators can provide unique perspectives on archival materials otherwise missed by trained professionals. Curating offers the possibility of multiple “frames” for understanding various materials, such as historical, technological, discursive, philosophical, and aesthetic frames. By encouraging groups of students to approach course materials using different frames, the class as a whole can appreciate multiple perspectives. Students may combine frames, add others, or create their own frames based on their research. We invite people with an interest in archives and exhibits to join us for an open discussion about curating across the curriculum. During this session, we hope to identify innovative ideas for curricular activities that involve curation as a means towards attaining the goals described above. Music recordings are rife with data waiting for extraction, organization, analysis, and visualization. How can you do this in a meaningful way that facilitates better understanding of what constitutes sounded music and its place within musical life? I propose to offer a music information retrieval, analysis, and visualization demonstration highlighting some reliable and user friendly ways of making sense of musical math. I’ll start with an overview of feature extraction from a recording of an opera aria performance and how to visualize the extracted data to create a new text of a performance. Next, I will demonstrate a way to analyze these texts (visualizations) in a way that sheds new light on the creative process. This process builds on methodologies that British scholars developed for solo piano performance; the use of it for opera is something I have not encountered elsewhere. For the last section of my presentation, I will demonstrate how a single performance in the corpus of a performance history links to the other performances in it and the tradition that surrounds these performances. I will end with a demonstration of one way to visualize these performances in relationship with each other and analyze the complex network their instantiations of a musical work creates. Here at Florida State’s Office of Digital Research and Scholarship we are planning a creative and unique way to attract, vet, and build out our project portfolio. There is a lot of talk in the Digital Scholarship Center (DSC) literature about services, partners, etc, but to my knowledge not very much about strategic portfolio growth (I know I sound like a banker, and I hate it too.) Jen Vinopal’s work in this area is all I’ve seen. So… in the spirit of the great entrepreneurial push of Academic institutions of higher learning (which we could discuss on the side), we’ve decided to launch a Digital Projects Incubator at the beginning of the 2016-2017 school year. We’re borrowing a bit from the models on an “incubator,” and “accelerator” to focus our work on HOW we advance digital projects from ideation to execution. What are the characteristics of a digital projects incubator? Organizationally, who could/should be connected to something like this? How would a program like this be structured? What models of tech incubators are useful to refer to? The goal and product of this session will be a short one-size-fits-all document that outlines this incubator, so that any of our colleagues in other DSC’s could spin one up with little to no effort. The plan is for this to be a collaborative, fun, think outside the DH box session. No Tech/Silicon Valley expertise necessary! Got ideas right now? Here’s the planning document! What Should be in a Philosophy of Computing? The Obama administration and other groups have been calling for dramatic increases in computer science and technology education for American children, which requires a new generation of proficient and inspired educators. This implies making a sound connection between technology education and the humanities. Other universities have courses addressing computer ethics, the philosophy of technology, information, computer science, and so on, but nowhere is the philosophy of computing explicitly addressed as an academic subject. UCF can become a leader in this field by leveraging its excellence in digital humanities, especially its Texts and Technology program, in collaboration with its world class programs in engineering, computer science, simulation, and visual design, but first we have to consider what should be in it. For my THATCamp 2016 session, I will open with a proposed syllabus, and solicit discussion of potential objectives, topics, and their rationale. The Research Lifecycle at UCF presents a unified model of campus-wide support and services available to UCF researchers. This model was designed by the UCF Libraries’ Research Lifecycle Committee with inspiration from OpenWetWare’s Research Cycle. This presentation aims to explore the services and resources that UCF Libraries currently provides to researchers, while exploring how digital humanities research, specifically, can utilize such tools. Here at RICHES in the UCF History Department, we have been converting RICHES Mosaic Interface (the search engine for our historical database) to be Section 508 compliant. Along the way we have found that it’s not simply about semantic markup and using text instead of pictures. It’s a whole world of best practices and usability features that improve the user experience for everyone, and addresses your entire web site including your documentation and tutorials. Abstract: In collaboration with the Florida Press and a humanities advisory board, the Smathers Libraries’ project team will make 30 out-of-print books freely available online and in electronic formats. The project team plans to complete the following deliverables: 1) secure rights and permissions for selected books about Florida and the Caribbean published by the UPF from 1968 to 1992; 2) digitize and distribute with Creative Commons-licensing for books in EPUB 3.0.1, PDF for print-on-demand, and Web PDF formats; 3) implement a marketing plan to broadly promote online availability of books to scholars, educators, students, and the general public; 4) engage an expert Advisory Board to prioritize selections and plan for promotional and educational programmatic opportunities for university press and academic library collaborations; and, 5) produce a white paper that documents processes, costs, and impacts for rights issues while serving as a guide for replicating the collaborative process for other university presses and academic libraries.